Yesterday at Westfield Mall in Century City, California, we got invited to an early preview of the new Disney Store. It’s a a major overhaul of both the physical stores and their online retail operations that was made in response to what today’s Disney consumer wants. The Westfield Century City Disney Store where the preview event was held was what representatives called a “prototype store” as there are only a few of these new store designs currently open in the market in hopes that the teams can collect customer feedback on the new store. Brand Equity. As the current Disney Store design (called Imagination Park) has shown the team, it was very difficult to highlight each of Disney’s brands and related products equally since the entire theme of the store was around a literal park (e.g. Marvel superheroes next to trees, brick pathways, castle, etc.). The new store design is less themed in hopes that each of the brands and products could easily be incorporated within a set space and highlighted equally. Product Showcase. The Imagination Park design also made the entire store a difficult place to find a specific product due to the layout and other important elements like shelves and showcases. The new store fixes that problem with accessible shelving, white walls, and opportunities to highlight the products themselves outside of the boxes with customizable product displays. Accessibility. 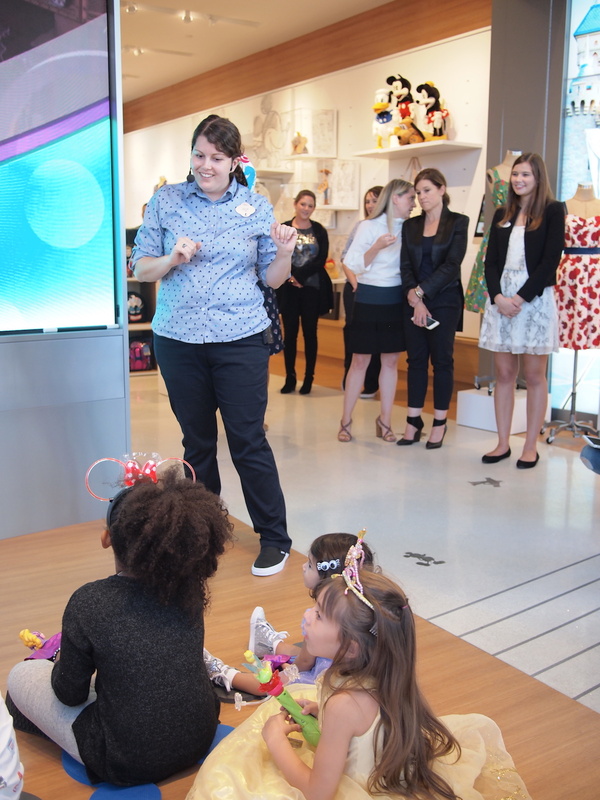 Disney Store understood that many of their customers would be families with younger kids and money-enabled parents often playing double-duty as shopper and parent. Parents often shared feedback that they wanted to be able to have an easier experience shopping and making sure their kids were entertained, which was difficult with the Imagination Park design due to the high shelves and dimly lit lights. The prototype stores lower all the shelves to slightly lower than eye-level and cranked up the lighting. Entertainment. If you’ve passed a Disney Store before, you probably saw a lot more entertaining going on than you did shopping. That doesn’t change with the prototype stores as there is an interactive section with games and crafts available for kids. Additionally, each prototype store now has a large LED screen in the front where live-streams of parades from Disney’s Parks will be shown every afternoon, all led by a Disney Store employee who will encourage the kids and parents throughout. 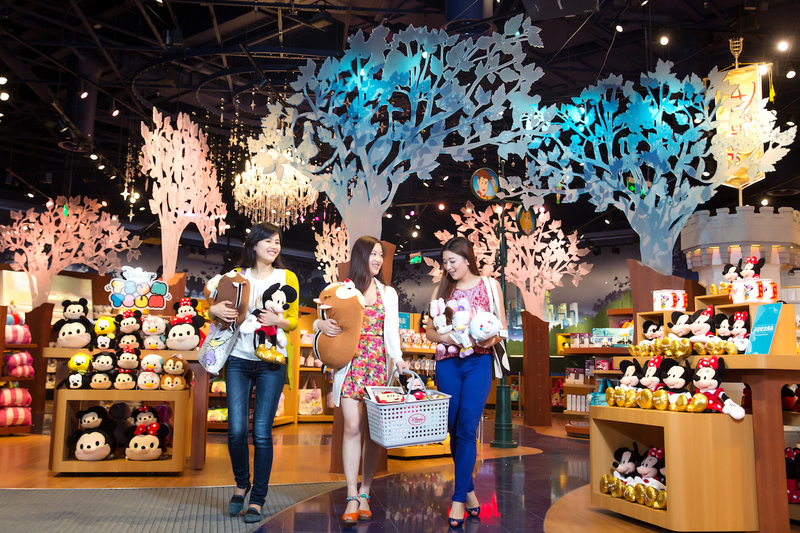 While the physical changes to the store are big, Disney Store also understood that its modern consumer was not just families, but everyone from Millennials to young Millennial families. To better serve those customers, shopDisney was created. It’s the new e-commerce hub for anything and everything Disney, including licensee products that usually cater to those more mature Disney fans who want a very detailed Star Wars watch to Captain America toasters. “We know our fans are looking for a one-stop-shop to find the most compelling product out there and with shopDisney we are uniquely positioned to curate the very best of Disney, Pixar, Star Wars and Marvel merchandise,” said Paul Gainer, Executive Vice President for Disney Retail. When you visit DisneyStore.com, you’ll now be taken to shopDisney.com where you’ll be met with an entirely new design that reflect the contemporary and modern look of the new prototype retail stores. At the same time, each of the new prototype stores will feature licensee products on shelves in a rather large section of each store. However, all of the shopDisney licensee products will not be available to take home with you. Instead, you’ll be asked to head to the new website to make the purchase and have it shipped to you directly. The highlight of the new website is a section where you can search for products based on a particular character. In our demo, it was a fluid experience when searching for Moana merchandise as the system produced nearly every product that had the princess on it. Clearly, the new physical Disney Stores and shopDisney online store are a reflection of modern retail. While many retail purchases are now being done via the Internet, people are still looking to head into a store to be inspired or make a small purchase if they feel like it. These two retail revamps are a good attempt at responding to what the modern consumer wants from Disney as a company and as a retail giant. Disney Store was also right to be able to address the fact that their modern consumer and fan are no longer just families, but younger, single people who have smartphones and some type of spending money. By creating spaces where those potential customers can get a watch, shirt, toaster, or anything else that fits their lifestyle, Disney is hoping that will open up another revenue stream for their already successful retail operation. As with any type of overhaul (especially with Disney), change will come slowly. Disney Store representatives said that the shopDisney site and prototype stores will be modified based on what feedback customers give in the next few months. Additionally, the prototype store design will only rollout to a few more stores this year in the U.S. and internationally sometime next year.